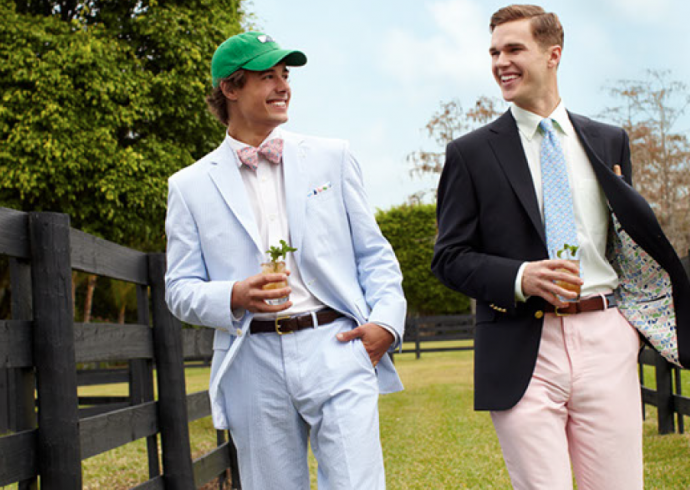 Last year, my friend and I fulfilled our dream of attending the Kentucky Derby in Louisville, KY. We spent the weekend watching the races and admiring the epitome of southern sophistication. While taking in the sights, we noticed an uncanny trend sweeping Churchill Downs; people replacing their stylish derby hats with large pink foam whales. 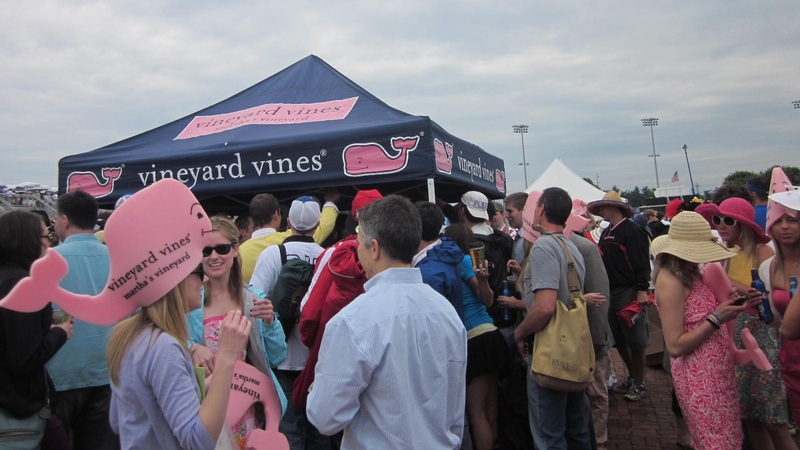 After asking around, we were informed the Vineyard Vines booth was responsible for the whale phenomenon. The grassroots marketing stunt was so impressive, I immediately wanted to know more about the brand. 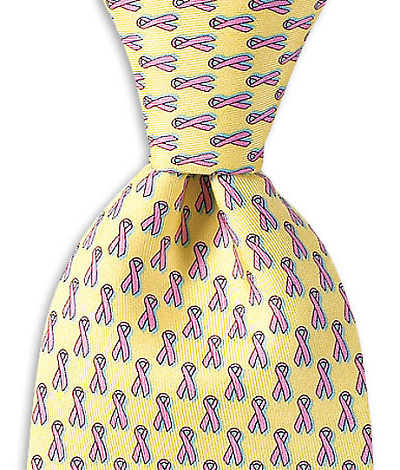 Vineyard Vines has been named the “Official Style of the Kentucky Derby” and offers a collection of prints named: “Run for the Roses,” “Churchill Polka Dot,” “Lucky Julep” “Off to the Races” and “Down the Stretch.” This is the first clothing label that Churchill Downs has partnered with to create an official fashion collection associated with the Kentucky Derby. The brand offers a wide range of sportswear, polo shirts, tops, tunics, dresses, skirts, outerwear, hats, belts, bags, swimwear and sandals. 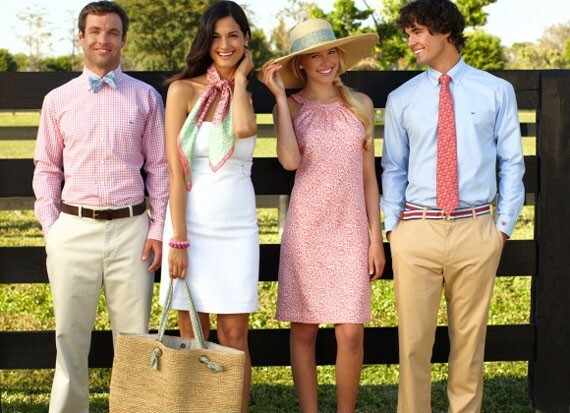 Everything you can think of for a day at the races or a day with friends.